So he has gone from clown to Mickey mouse. I hope Ella is proud of himself for prodding the bear!! What drugs are you on. And can I have some? No Ella's were named, mentioned or harmed in the writing of that article. Its not a bear - apparently its a mouse. Its time to rename you: Special. 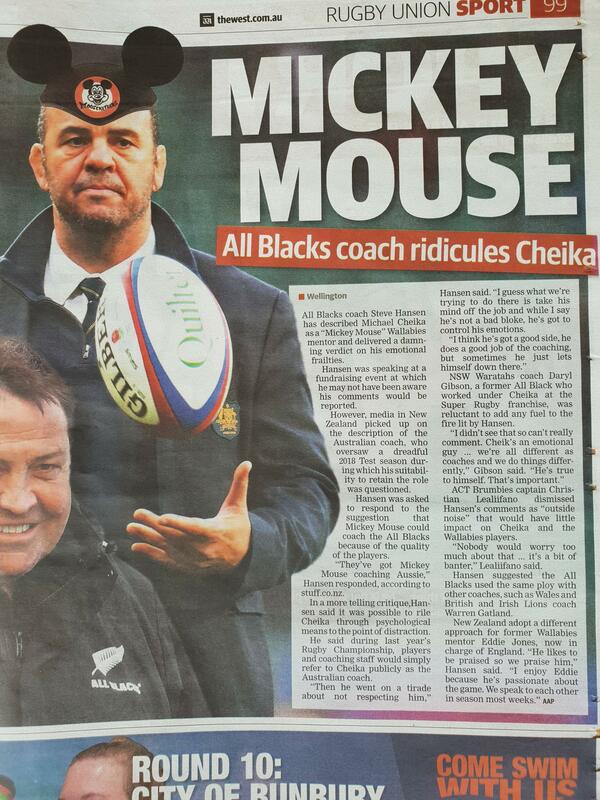 X, Mark Ella said months ago that Mickey Mouse could coach the ABs given the quality of the players. Ella stopped going down that route after that and put out some pretty good articles. All times are GMT +8. The time now is 03:19.